Venues, or groups of friends, can use the system to choose what music should be played — based on the combined preferences of everyone present at the time. An interactive jukebox that uses NFC check-ins and social networking accounts has been developed by a team from Lancaster University. CheckinDJ lets venues, or groups of friends, base the choice of what music should be played on the combined choices of those present at the time. The Mobile Radicals team’s solution combines a Raspberry Pi, an NFC shield, online music streaming service Spotify and users’ personal music preferences. In a recent test, users utilised NFC tags embedded in their university library cards or plastic drink cups to register and then check in. “The registration process involves users linking their NFC enabled object’s unique ID number along with their social networks — Twitter, Facebook and Foursquare — and selecting three music genre preferences,” Mobile Radicals’ Mark Lochrie has told NFC World. A playlist is then created using a “system of influence”. Each user receives a plus one influence for each social networking account they link and subsequent plus one influences for each of their friends who are checked in. This system means that simply checking in to the venue will not guarantee that your music choice is played, says Lochrie — there has to be a majority of people wanting to listen to the same genre for the playlist to change, making group participation and social interaction the main focus of the system. “To maintain a playlist, the music system polls the server for the highest rated genre every 20 seconds,” says Lochrie. “In this way the system can react quickly to the changes in the collective users group. 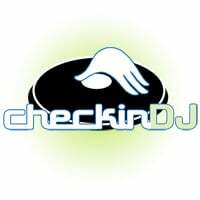 CheckinDJ also has a time restriction in place to ensure that an individual cannot continuously check in to influence the playlist.